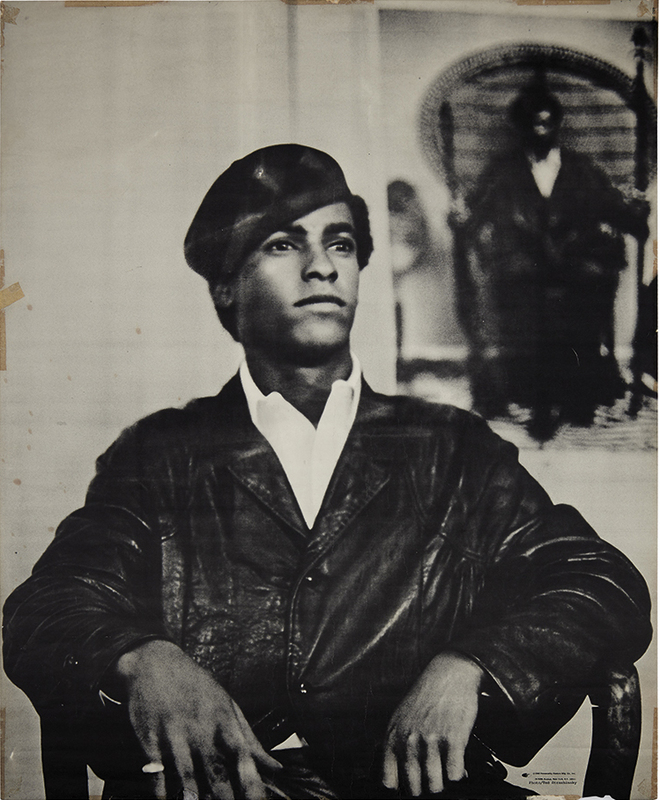 On March 29 we will offer Printed & Manuscript African Americana, an array of material that encompasses a wide range of the African-American experience, from letters by Frederick Douglass to his friend and fellow diplomat Ebenezer Bassett, to posters from the Civil Rights Movement and the Black Panthers. Highlights include a pair of slippers said to be made by legendary seamstress Elizabeth Keckley in 1865 for cabinet member Gideon Welles to wear at Lincoln’s second inauguration. 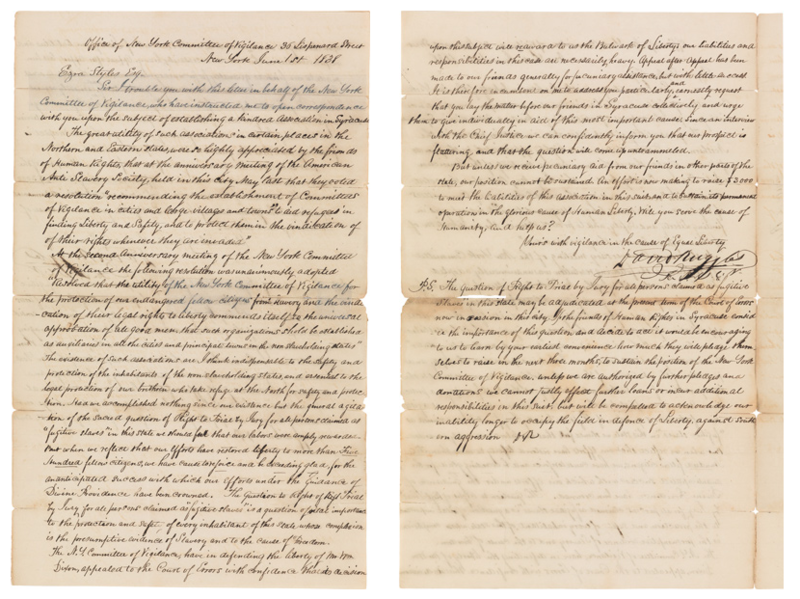 Several remarkable lots not previously seen at auction include an 1838 letter by the early African-American abolitionist David Ruggles, attempting to launch a Committee of Vigilance to support the Underground Railroad in Syracuse, NY, and a previously unknown poster for an appearance by Martin Luther King in Paris while on a fundraising tour for the Southern Christian Leadership Conference. 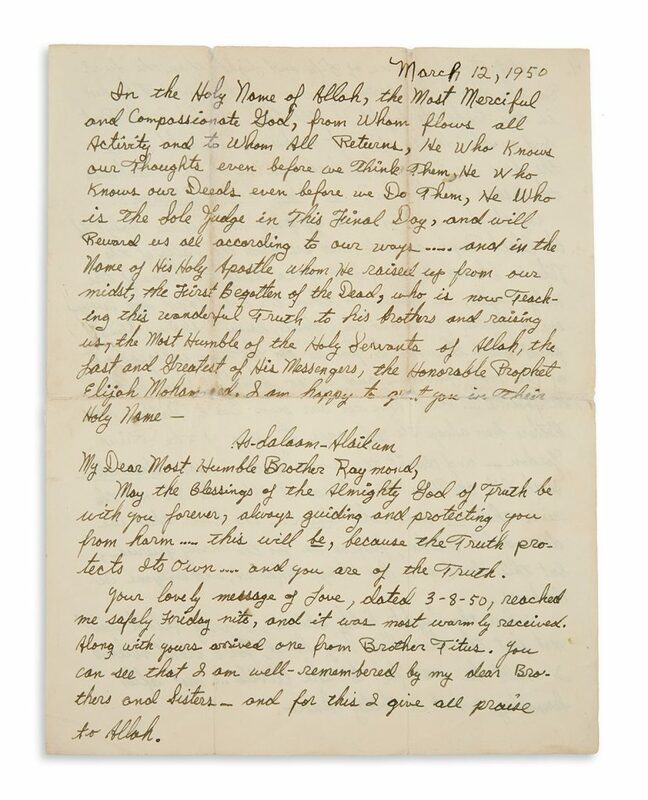 The sale also includes a poignant 1854 letter from Moses Walker, an enslaved Georgia man, to his mother in North Carolina, asking after his brother and discussing the recent birth and death of his son. Important photographs bring the sale to life. 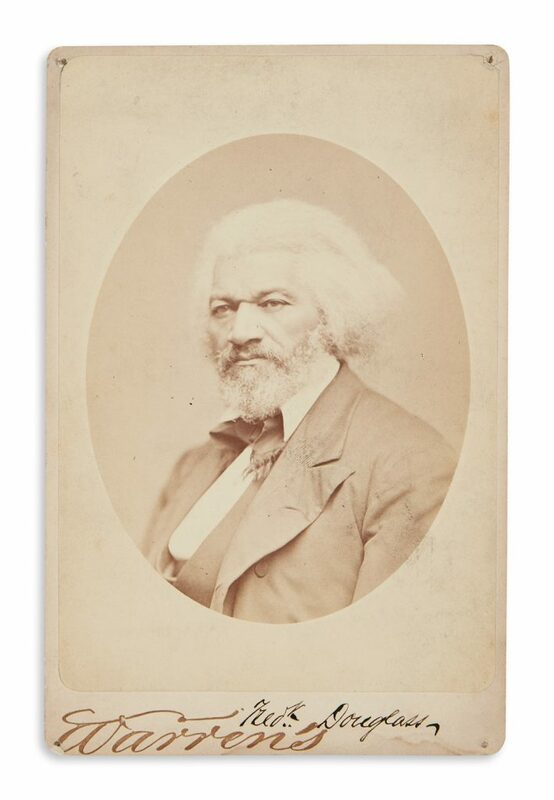 Lot 190: Frederick Douglass, signed albumen cabinet card, by George Kendall Warren, circa 1879. Estimate $10,000 to $15,000. 1842-45. Estimate $12,000 to $18,000. 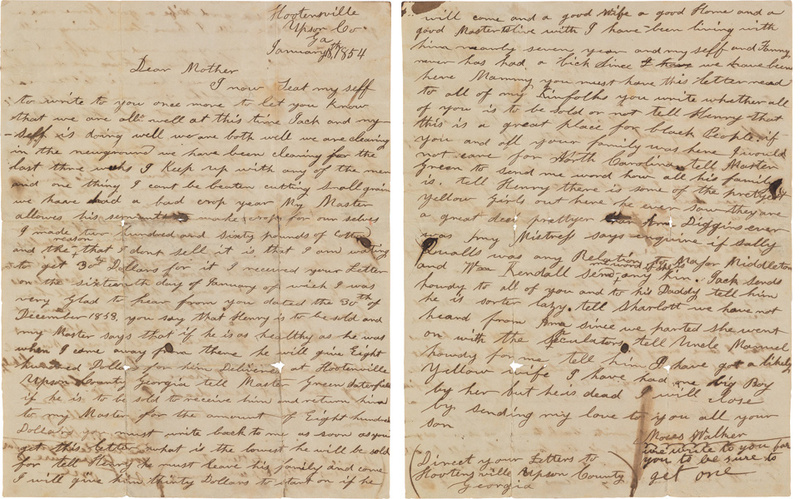 Lot 11: Moses Walker, letter to his enslaved mother, Hootenville, Georgia, January 1854. Estimate $12,000 to $18,000. 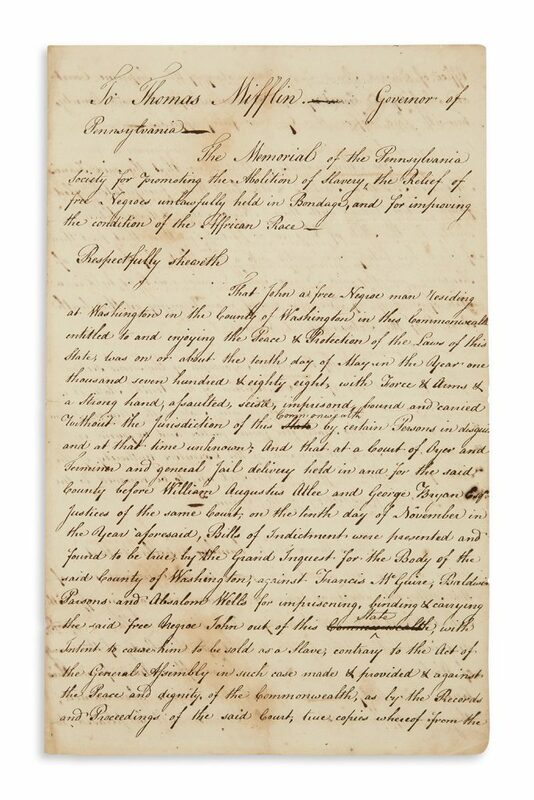 Lot 29: Papers of an early Pennsylvania abolitionist, including the kidnapping case of John Davis, 1791-1800. 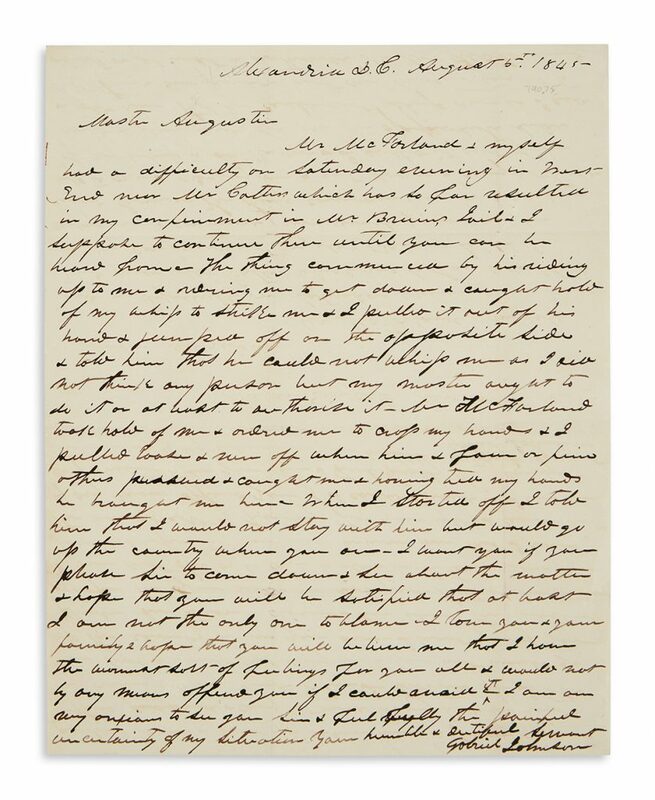 Lot 39: David Ruggles, Letter Signed, to Ezra Stiles, urging the establishment of a Committee of Vigilance in Syracuse, New York, 1838. Lot 255: Malcolm X, autograph letter from prison to a member of the Nation of Islam, one of the first to use his new name, 1950. Estimate $20,000 to $30,000. 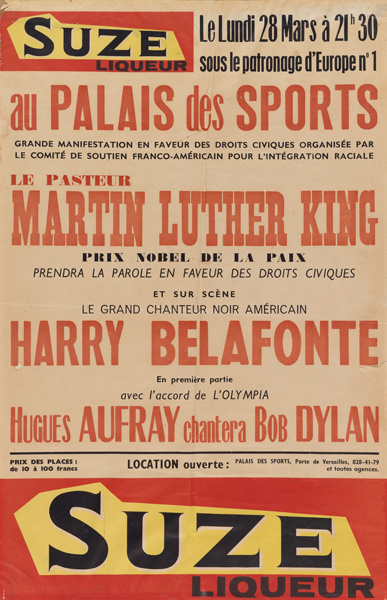 Lot 232: Previously unrecorded poster for a French appearance by Dr. Martin Luther King, Jr. & Harry Belafonte, Paris, 1966. Estimate $2,500 to $3,500.